Chinese stocks have jumped off the blocks in the first two months of 2019 as investors grow more confident that there is a meaningful and long-lasting resolution in sight for the nearly year-long trade dispute between the United States and China. Investors have also cheered the Chinese government’s unwavering focus on economic growth. 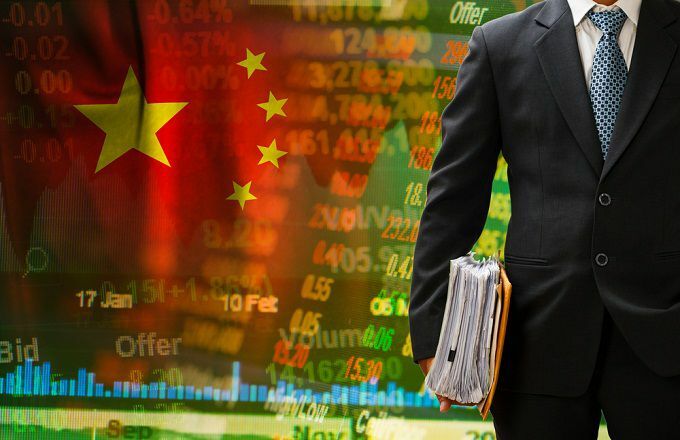 With China’s benchmark SSE Composite Index (000001.SS) up 22.71% year to date (YTD) as of early March 2019, traders need to be mindful that, even if the world’s two largest economies reach a trade agreement in the coming months, share prices for Chinese stocks may have already factored it in. As well as a “sell the trade deal news” scenario playing out, fears started to emerge late last week that regulators may be concerned with the speed at which Chinese equities are rising. Several analysts believe that a sell rating issued by state-owned brokerage firm Citic Securities on leading insurance firm The People’s Insurance Company (Group) of China Limited (1339.HK) was government intervention to temper investor enthusiasm. Formed in 2009, the Direxion Daily FTSE China Bear 3X ETF (YANG) aims to provide three times the inverse daily performance of the FTSE China 50 Index. The underlying index tracks the 50 largest Chinese stocks traded on the Hong Kong Stock Exchange but excludes exposure to China A-Shares – companies that trade on mainland China exchanges. YANG’s leverage makes it a suitable instrument for traders who want an aggressive bet against Chinese equities, particularly the financial sector, to which the benchmark allocates a 46.05% weighting. The ETF, with net assets of $80.87 million and an expense ratio of 1.02%, has slipped nearly 26% YTD as of March 12, 2019. It pays a 0.80% dividend yield. Ironically, the bears have had full control of this China bear ETF for the first two months of 2019. In early March, the fund’s price has staged a bounce from crucial technical support at the $42.50 level – where a horizontal line connects several swing lows over the past 12 months. The move higher saw the price break above a steep two-month downtrend line on the most significant volume this year. Traders should look for an entry point close to $45 and book profits on a run up to $55 resistance. Cut losing trades if the price closes beneath last month’s low at $42.03. The ProShares UltraShort FTSE China 50 (FXP), created in 2007, seeks to offer two times the inverse daily return of the FTSE China 50 Index – the same benchmark YANG tracks. FXP’s tight 0.05% spread and an average volume of nearly 90,000 shares per day make this fund ideal for those wanting to have a moderate play against Chinese equities. FXP isn’t exactly cheap with its 0.95% management fee, although that shouldn’t overly affect short-term stays. As of March 12, 2019, FXP has assets under management (AUM) of $33.55 million and yields 0.20%. It is down 17.81% YTD. Because FXP tracks the same index as YANG, the two charts look similar. The fund’s price traded roughly within a 20-point range between July and December last year before falling away in January and February as Chinese stocks rallied on hopes of a trade deal breakthrough between Washington and Beijing. Monday’s pullback allows swing traders to take a position near the $60 level and aim for a move back up toward the 200-day simple moving average (SMA) at $70. Place a stop-loss order just beneath crucial support at $56.50. Consider moving stop orders to the breakeven point at the $66 level – an area where the price may encounter resistance from the 50-day SMA and the bottom trendline of last year’s six-month trading range. With net assets of $6.58 million and yielding 0.28%, the ProShares Short FTSE China 50 ETF (YXI) seeks to provide the inverse daily return of the FTSE China 50 Index. YXI, the less leveraged version of FXP, suits traders who want basic inverse exposure to Chinese stocks traded in Hong Kong or investors who require a short-term hedge against a long-only portfolio of China H-Shares. With only 10,950 shares changing hands per day, traders should use limit orders to avoid paying excessive slippage. The ETF’s 0.95% expense ratio is in line with products that use derivative instruments to achieve inverse returns. As of March 12, 2019, YXI has a YTD return of -8.84%. YXI’s share price formed a loosely constructed head and shoulders pattern over the second half of 2018. Like the other China bear ETFs, the fund trended sharply lower over the first eight weeks of this year before catching a bid in early March to break out above a trendline extending back to early January. Above-average volume accompanied the move higher, indicating conviction from the bulls. China bears who want to dig their claws into this ETF should enter on the current retracement and position a take-profit order in the vicinity of the head and shoulder pattern’s neckline at the $19.80 level. Traders should close positions quickly if price breaches the 2019 low at $18.13.